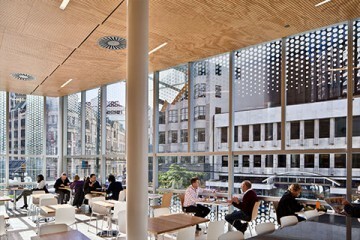 Multigroove 6/32 was developed for this project as Jasmax were the first to ask for the 6mm negative on the sheets. 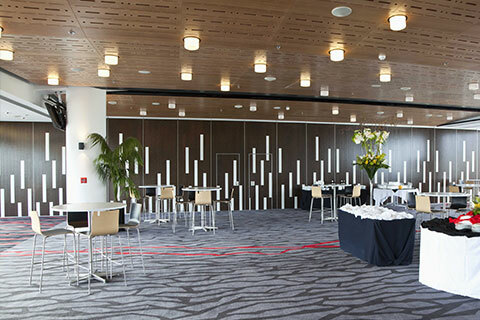 We love the look so much it is now part of our standard range. 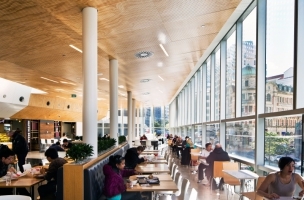 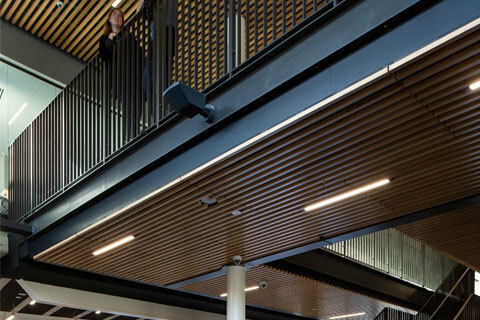 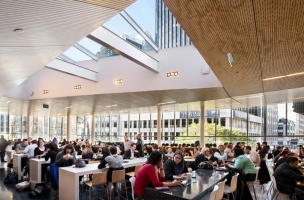 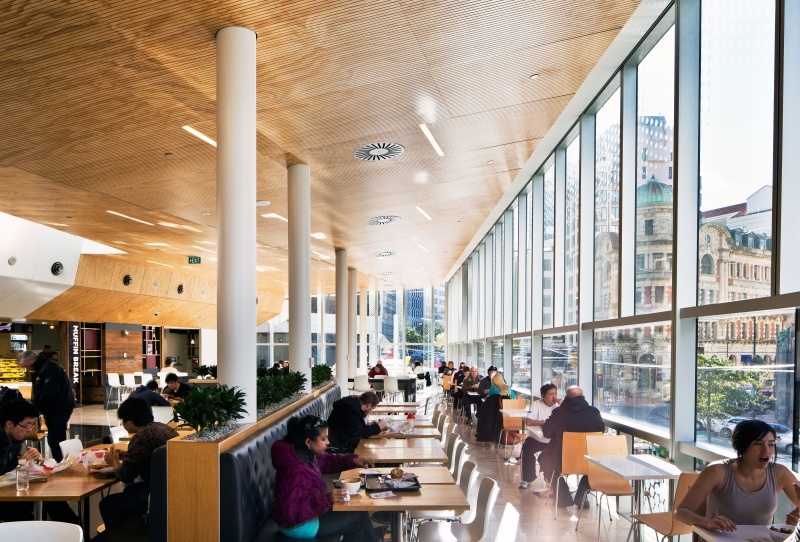 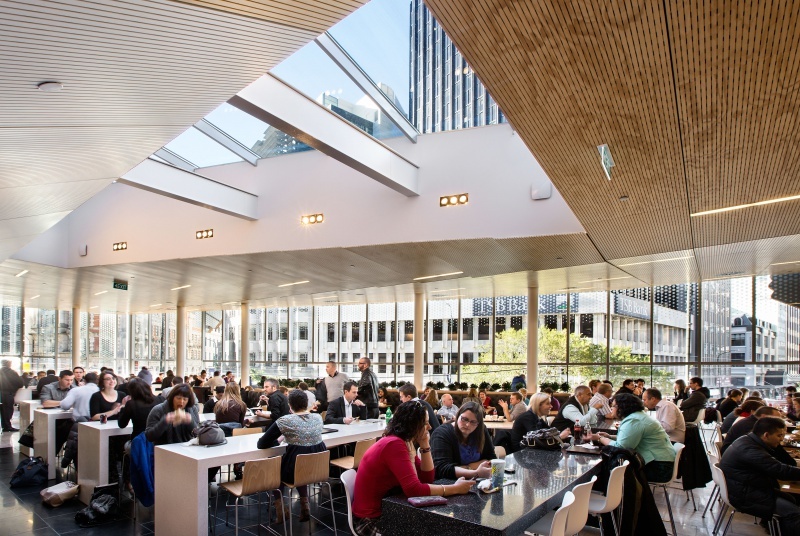 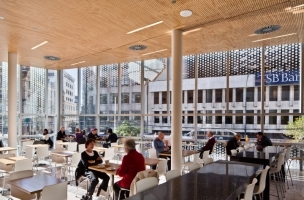 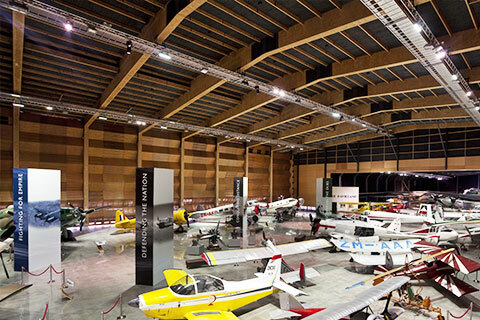 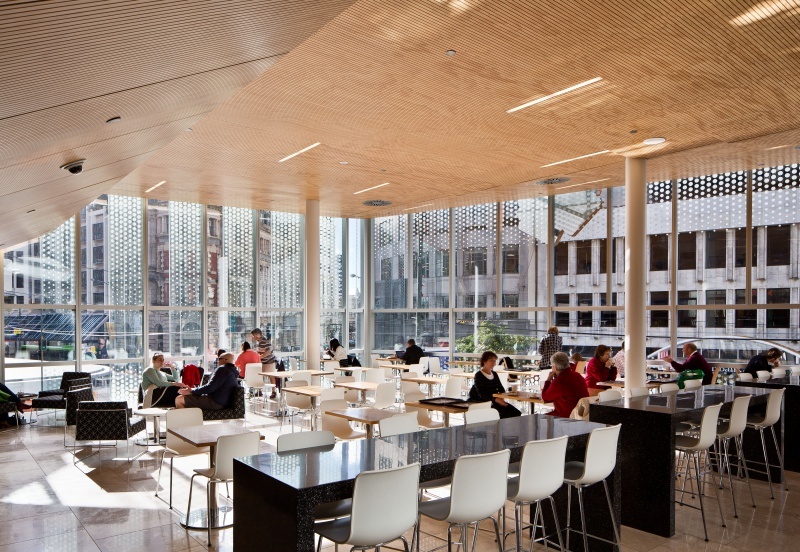 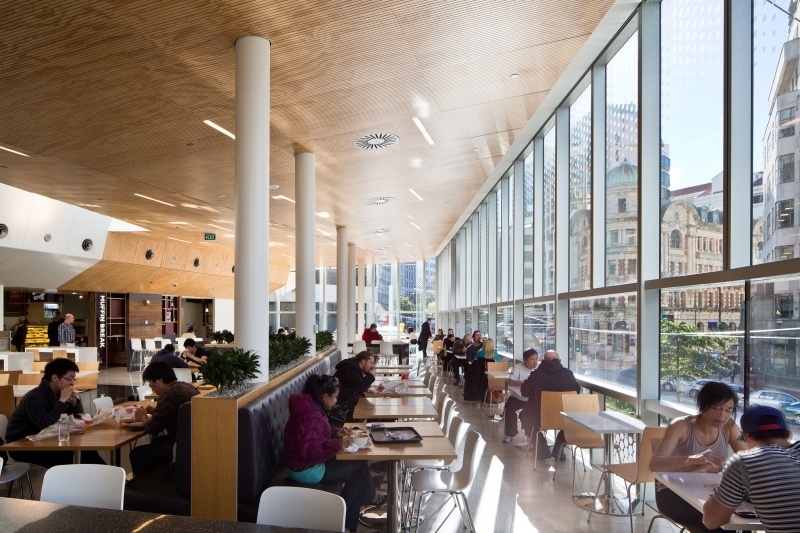 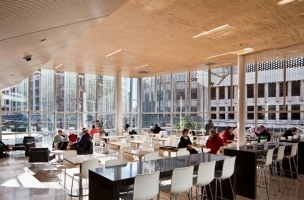 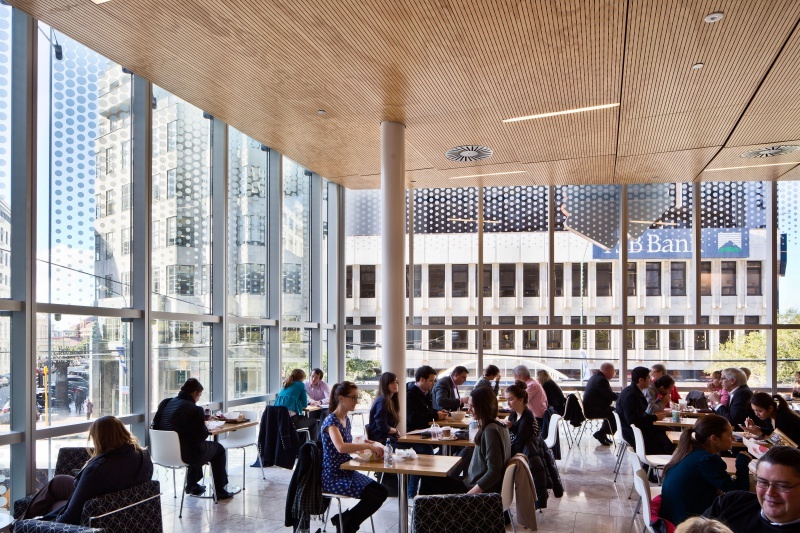 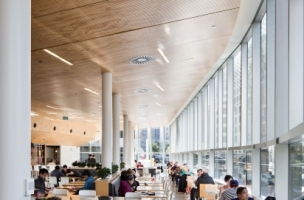 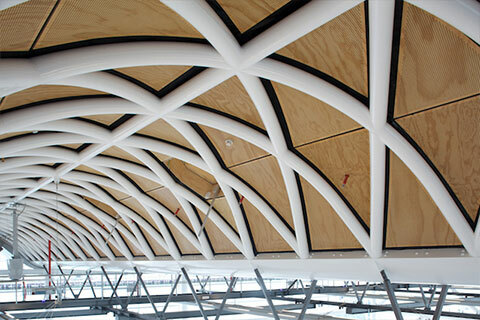 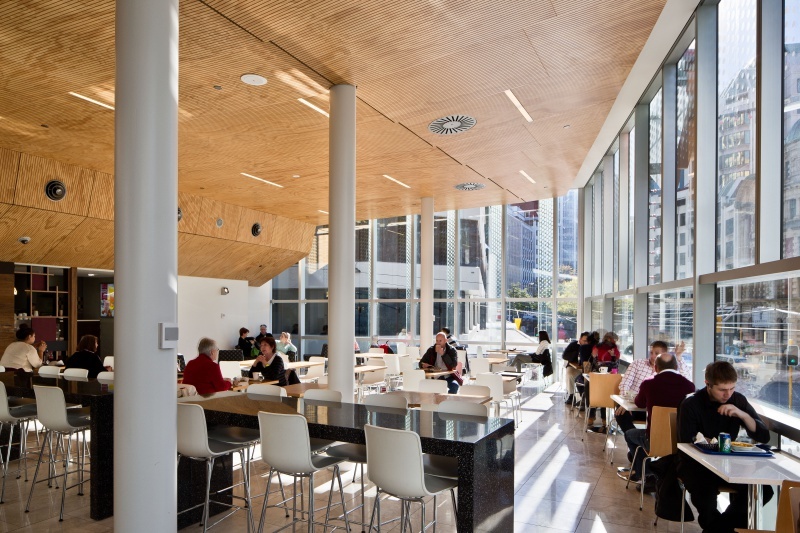 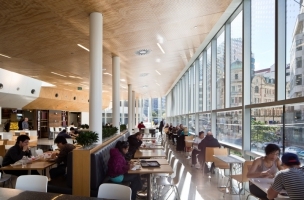 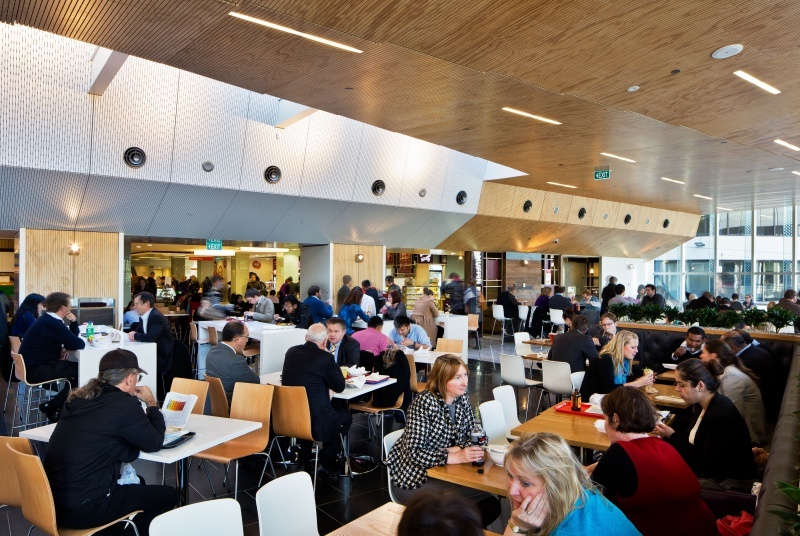 Panels were faceted to achieve the desired contours to the building and create the stunning Food Court Ceiling. 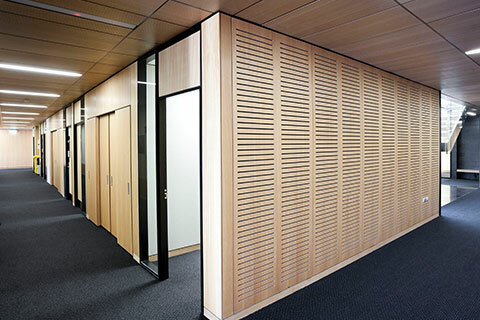 The panels were installed with our modified Multigroove Staplegun easily creating concealed fixings. 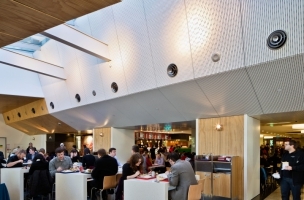 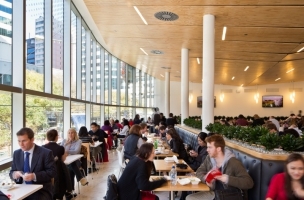 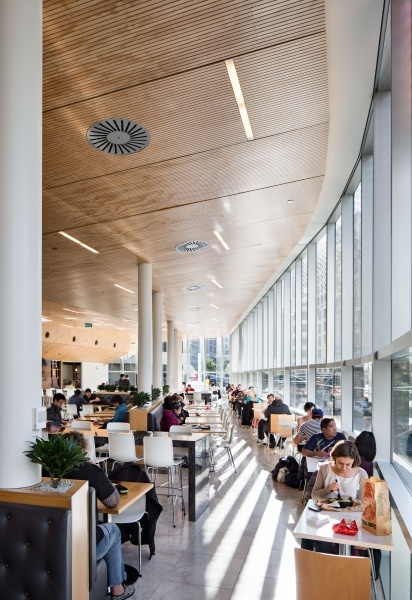 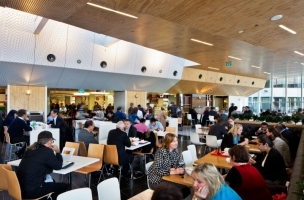 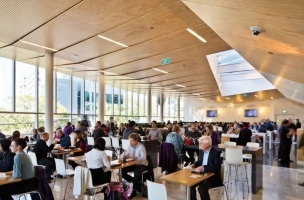 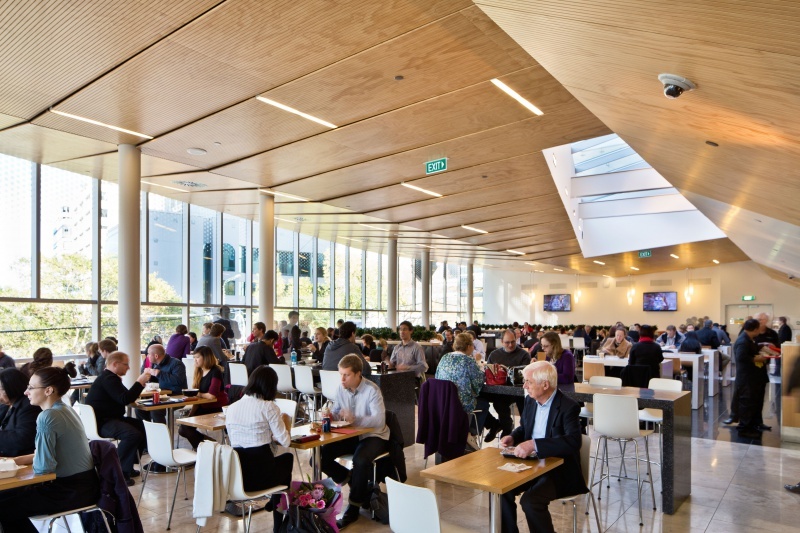 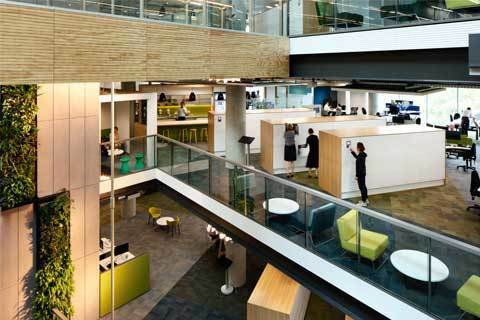 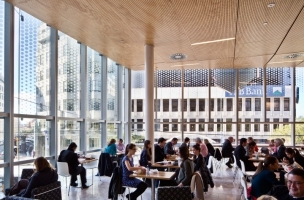 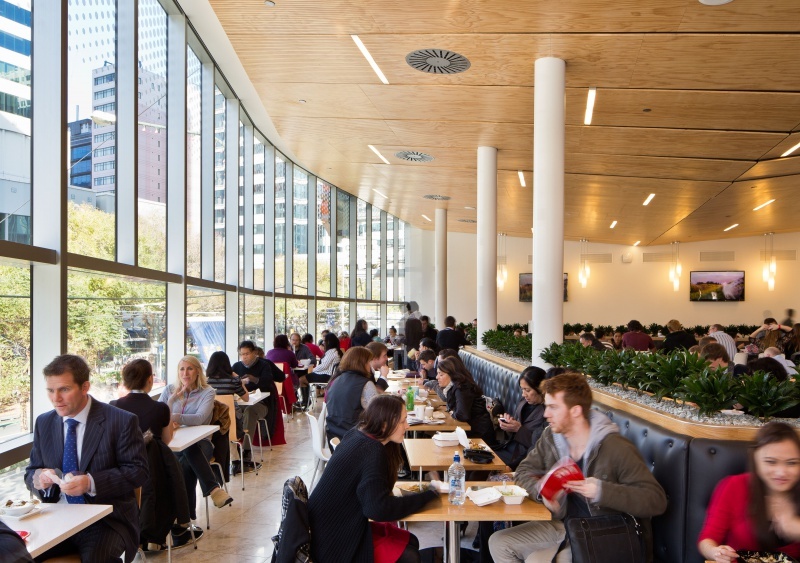 As with all our panels, they also met the Fire Requirements with an SFI-0 and SDI-3 and created a pleasant atmosphere in the noisy food court area with their Acoustic Properties.